I adore haute couture but need to say it again and again. 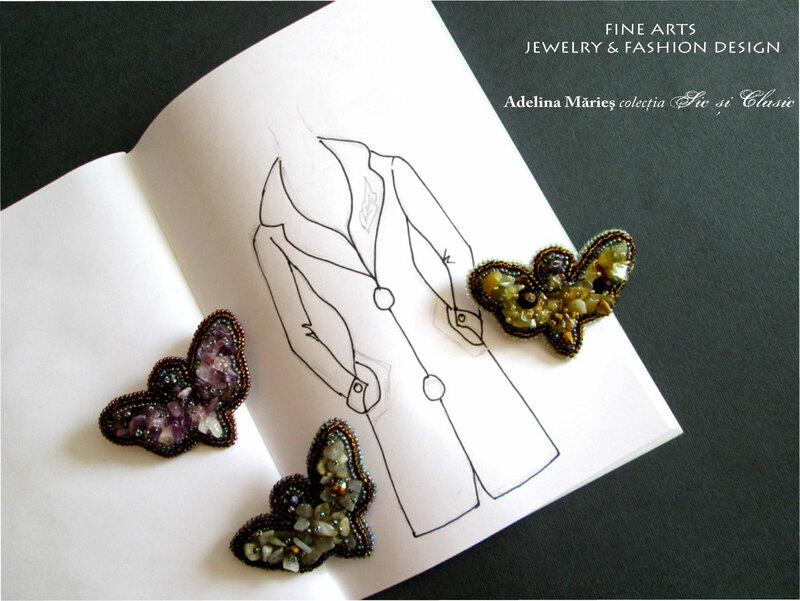 You can call it high fashion or art fashion the clothes belongs to the same group of art. In this post I want to share with you three friends. 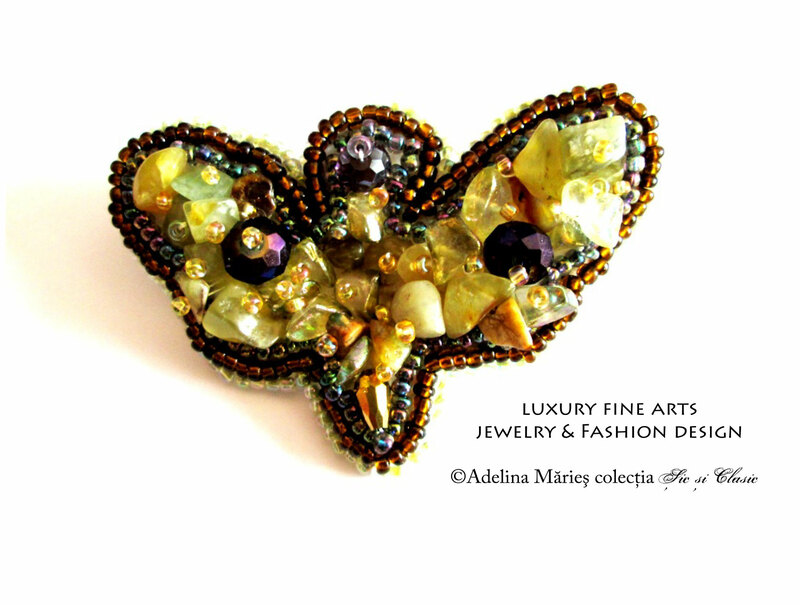 They are beautiful stylized butterflies brooches. 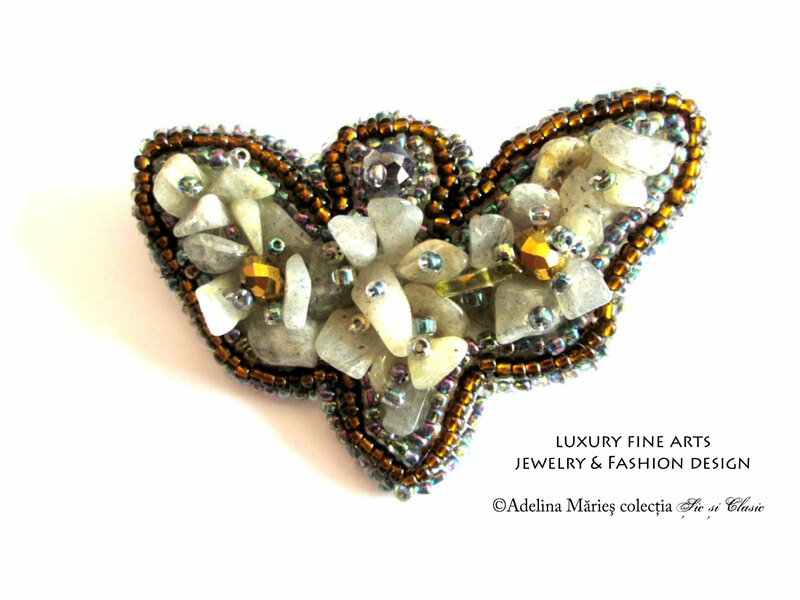 Made in embroidery style with gemstones and crystals. 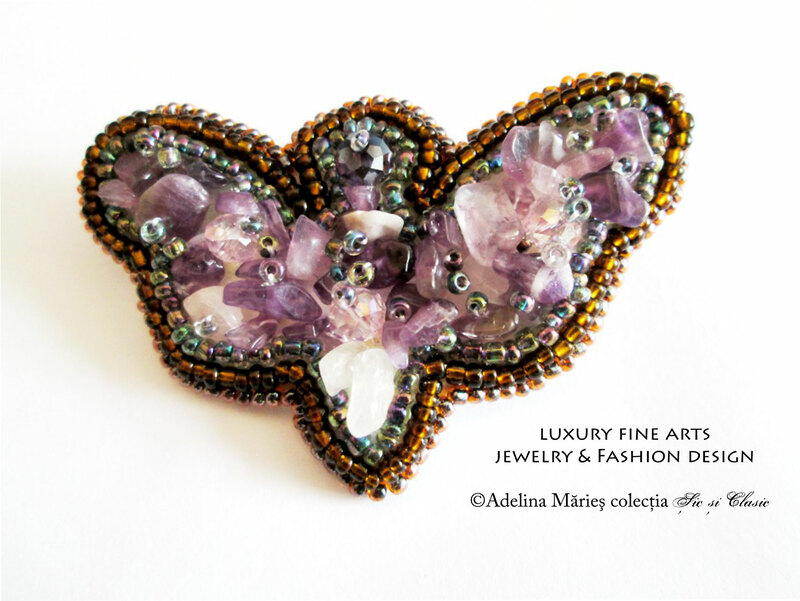 My jewelry friends have names: Amethyst, Jasper and Labradorite. They are gorgeous and certainly handmade.